Imagine arriving in a new country, stepping off the plane, and within minutes, being able to connect to the internet to look up the location of your lounge, check which gate you’re flying out of next, or just check-in on Facebook to let everyone know you arrived safe. Now imagine you could do all that just by pressing a button and never have to search for unsecured public wifi, beg for passwords, negotiate data plans in foreign languages, or even deal with the hassle of removing your phone’s case and finding a pin to pop in a new SIM card. I don’t have to imagine, because that’s exactly what I did when I went to Turkey last month. 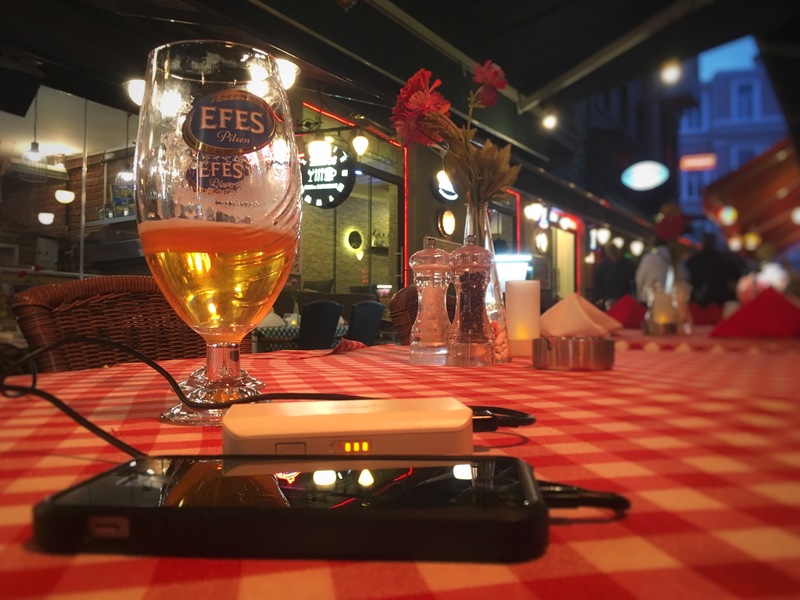 I simply booked a pocket wifi rental through Alldaywifi.com before I left home, and their representative was waiting for me at the Istanbul airport with my kit before I took my connecting flight on to Kayseri. I opened the kit, pressed one button and logged on to the internet. Easy as that! Let me break if down for you step by step. Go to Alldaywifi.com, enter your dates and pick-up/drop-off location to get your quote. We needed it for 8 days, so it worked out to $5 USD/day! Super cheap, especially when you consider that we could use it for up to 10 devices with unlimited data! There’s no way we could have beat that price for 2 or more people by buying pre-paid SIM plans. 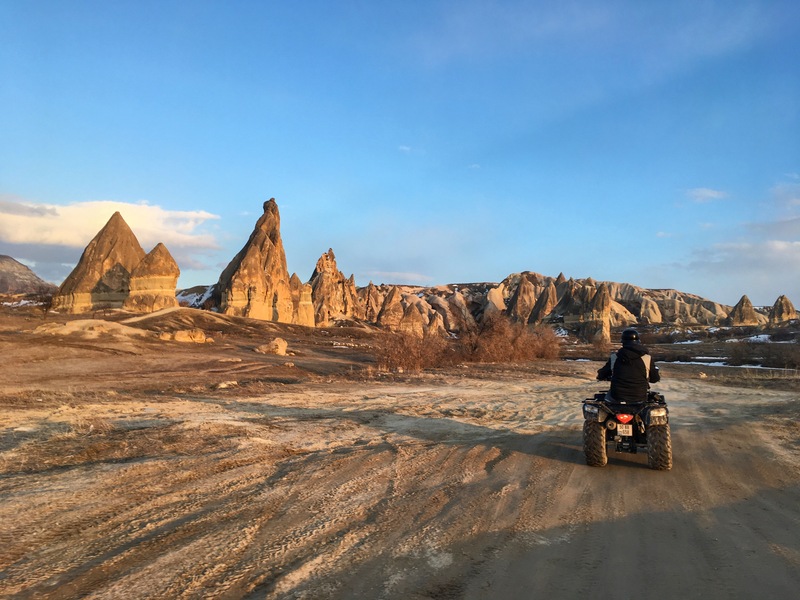 We chose to have it delivered to Istanbul’s Ataturk Airport (IST), so that we could have it for our whole trip, which was actually starting in Cappadocia. There was no additional charge for delivery or drop-off within Istanbul. Once we placed our order, we got a confirmation email, so we knew we were good to go. 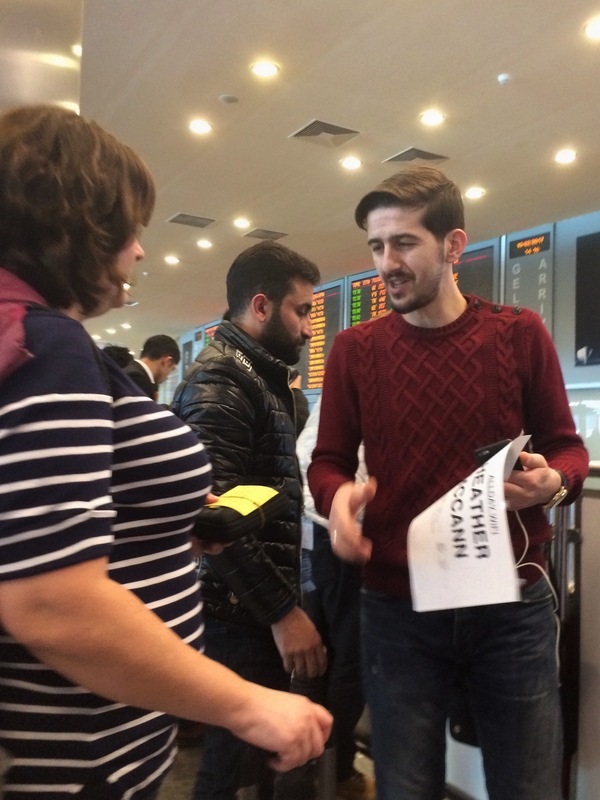 You can arrange for the kit to be waiting for you at your hotel or airbnb, but we were very pleased that we could arrange to be met in the arrivals hall at the airport! We just walked through the door, and there was the representative holding a sign with my name on it. I introduced myself, and he gave me my kit. Open the kit, turn on the device, connect to the internet. The kit comes in a small zippered pouch. When we unzipped it, we found everything we would need, including easy-to-follow instructions written in English. We had also arranged for them to include a map of the metro system, and there it was, folded up neatly inside. They can also include things like a metro pass, discounted museum tickets, plug adapters or even arrange airport transfers. All it took to turn the device on was to hold the main button for about 5 seconds. Then, we followed the instructions by joining the wifi network and entering the password. That’s it! 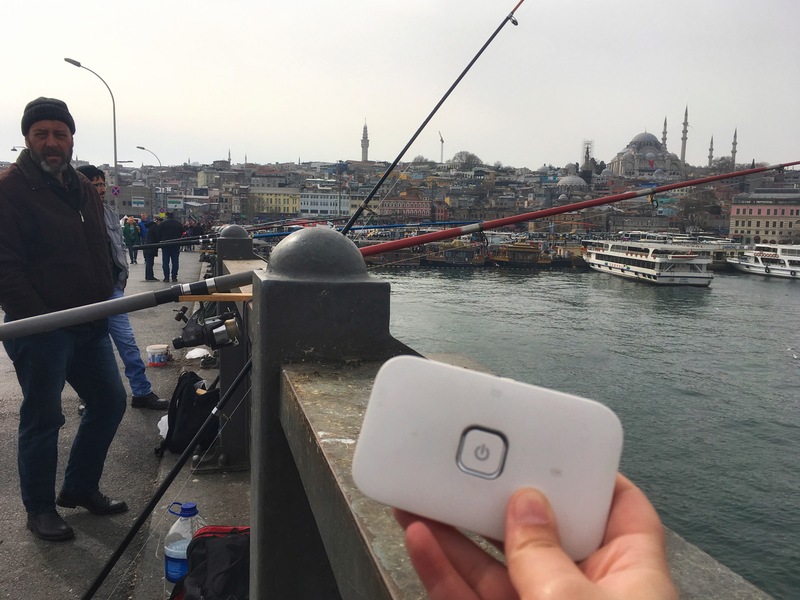 We could now use the internet everywhere in Turkey. Use and charge the device, as needed. We used the device from the time we got up, until the time we went to bed. We didn’t want to bother with hotel wi-fi, because it is often finicky, slow (sometimes even capped or throttled), and unreliable. With this device we were able to have reliable high-speed coverage in all the areas we explored. It works wherever there is cell coverage, which in our experience, is everywhere. I was even able to broadcast live video on Facebook from a hot air balloon over the mountainous terrain and within the hidden valleys of Cappadocia. 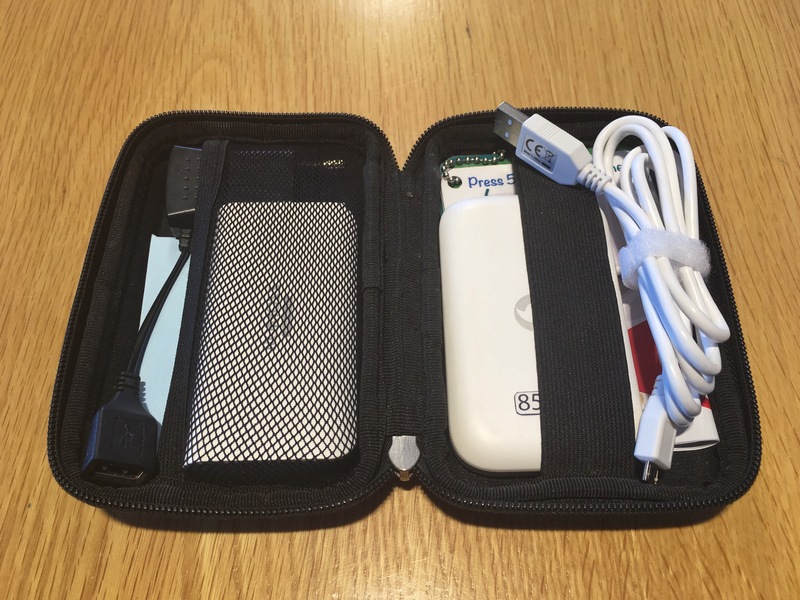 The kit comes with a wall charger AND a backup battery pack. Most of the time, we only needed to charge it in our hotel while we slept, but we had the spare battery pack just in case. The bonus was that the battery pack could charge any device with a USB, so we used it to top-up our phones when they ran low. Pack it up and leave it for pick-up. We arranged to leave ours at the reception desk of our last hotel on the morning we left. All we had to do was put everything back in the case, seal it in the envelope they provide, and hand it over to reception. They take care of the rest! This was the easiest and most cost-effective form of internet I have ever encountered while travelling. I didn’t have to worry about a thing. They were there when they said they would be to give me the kit. They remembered the extra map I had requested. Turning on and using the device was a simple, one button process. I was always connected, no matter where I was, and I never had to worry about going over any data limits or running out of battery. Best of all, we could both be connected for less than what I would expect to pay for one, if I had had to buy SIM plans, instead. If you are going to visit Turkey, I highly recommend this service. Use discount code: EXTRADV to save 10% on your rental. 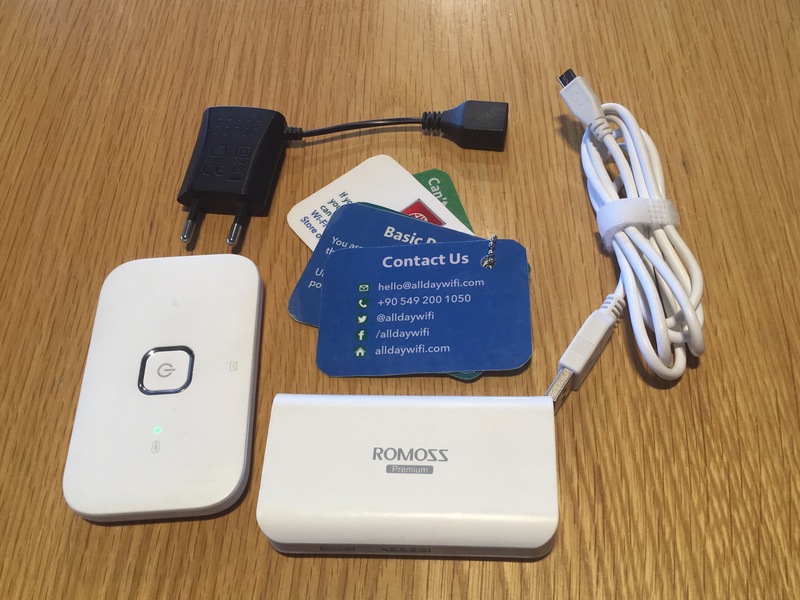 Alldaywifi kindly provided me with a pocket wifi kit to review, but, as always, all opinions are my own and unprompted.